Bring back one of the Halloween classics! 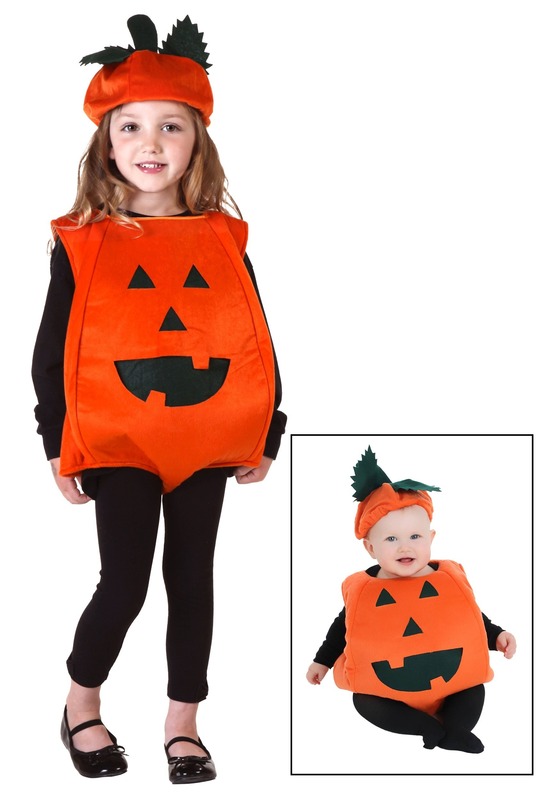 The toddler pumpkin costume features a bodysuit of bright orange flat cuddle fur, fully lined with orange poly interlock knit, with fiberfill stuffing between the shell and lining for plumpness. It fastens at center back with Velcro™ tabs. A jack-o-lantern face in black felt is on the front. The hat is orange flat cuddle fur, with an elastic edge and three black felt leaves on top. You'll have your little one ready for a round across the block for trick or treating!